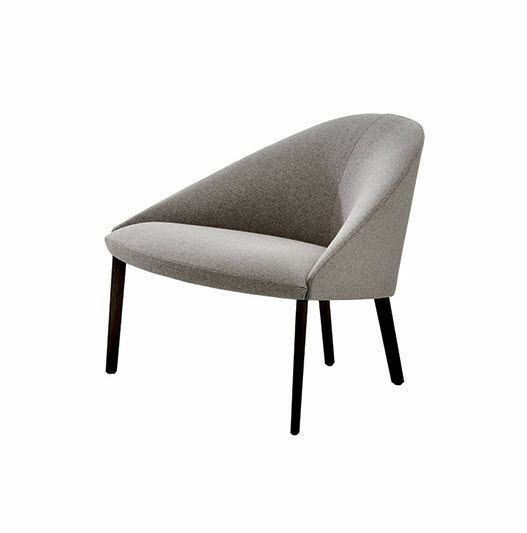 Armchair with 4-leg base in several wood finishes. 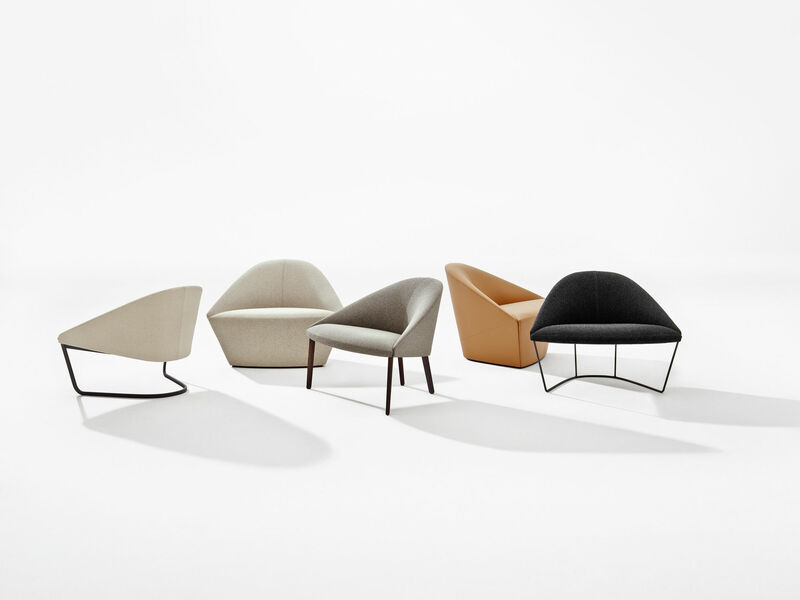 The fully upholstered plywood frame is available in fabric, leather, faux leather or customers own material. Version with removable cover available upon request.